Home » About Us » News » Superb Spanish Golf Holidays at the Lowest Prices! Great Value Stay & Play Golf in the Costa de la Luz! The Costa de la Luz region of Huelva, Spain is adjacent to the Portuguese border and features a great selection of quality 4 & 5 star Stay & Play golf resorts plus further excellent golf courses. With prices as low as you will find anywhere in Europe you are sure to enjoy your sunshine golf break in this wonderful destination! 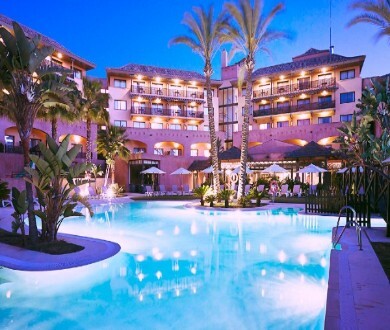 The superb 4 star Islantilla Golf Resort Hotel is consistently popular, and has been our best selling golf resort for many years for good reason! With prices from as little as £57pppn including Dinner, B&B and a days unlimited golf why not join our many satisfied guests?! 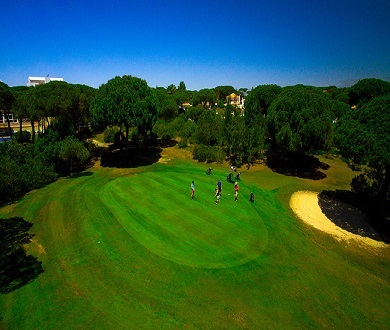 Making a comeback onto the Costa de la Luz golf scene, the Nuevo Portil Hotel & Golf Resort has a lovely boutique-style 4 star hotel with an interesting on-site 18 hole golf course. Unbeatable Stay & Play rates from only £288pp for 7 nights on B&B basis with 5 rounds of golf included! 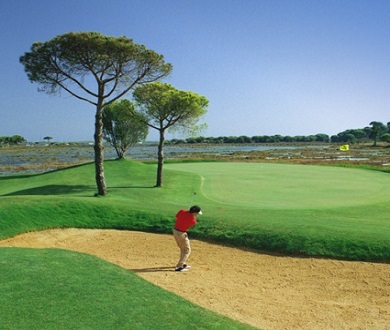 The 5 star Precise Resort El Rompido has a wonderful coastal location and 2 superb on-site 18 hole golf courses. With prices from only £418pp for a 7 night stay with Half Board, airport transfers and golf included El Rompido is probably the best value golf resort in Europe right now! Isla Canela Golf Resort is just south of the atmospheric border town of Ayamonte and offers a comfortable and friendly 4 star hotel with 18 holes of golf on-site at Isla Canela GC. Another great value resort with prices from only £297pp for a 7 night stay with 3 days of unimited golf included!